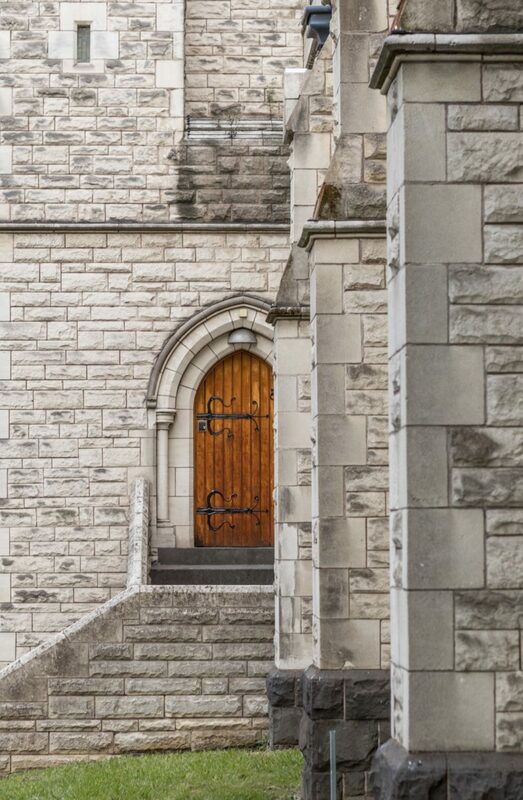 Based on the recommendations and policies embodied in that report, the practice undertook the specification and management of major exterior refurbishment, which included extensive stonework repairs, a new slate roof and the removal, re-leading and reinstatement of all the windows (except for the stained glass to east and west ends). This work involved exacting manual draughting work to illustrate and locate all the existing stonework and architectural detailing. 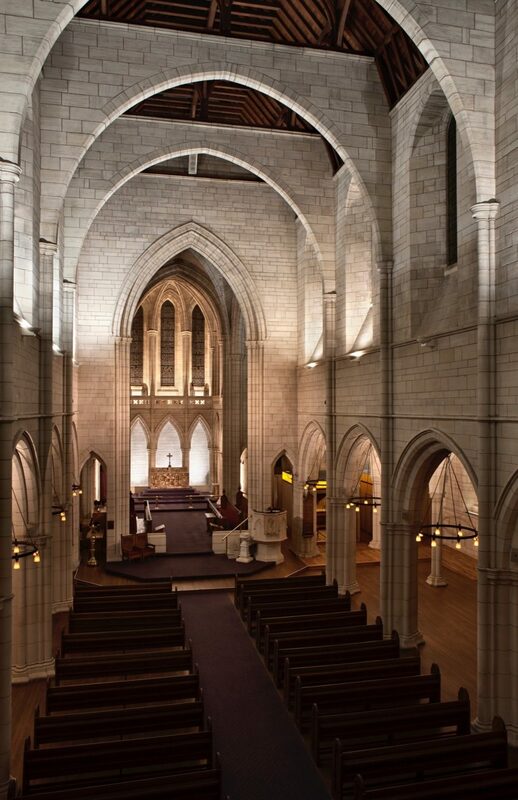 Several years later we were again engaged to oversee re-wiring of the church – a major job, which was followed by installation of new interior lighting, which received an international lighting award. 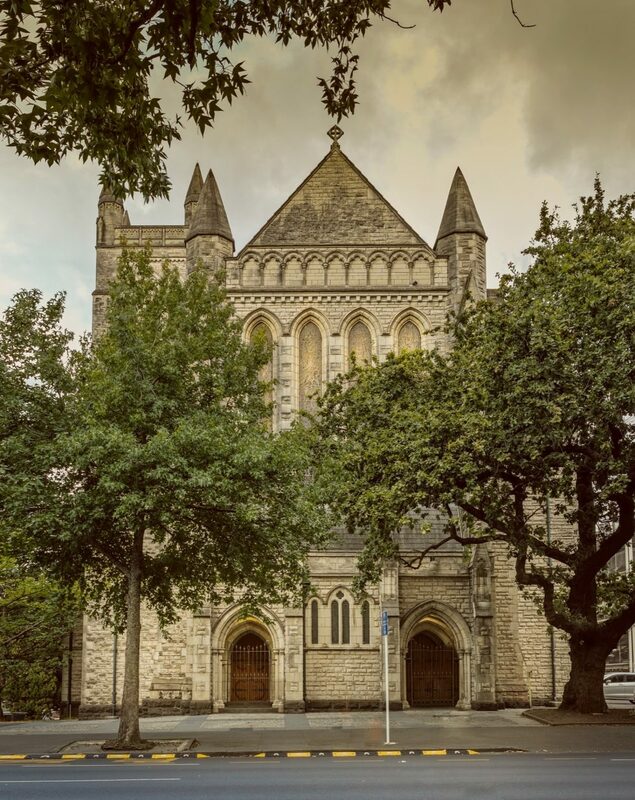 The success of these projects established a lasting working relationship between St Matthews Parish and Salmond Reed Architects, which has, more recently, been consolidated by our management of the installation of a new Willis pipe organ in the original purpose- built organ loft and our completion of the much acclaimed restoration of St Thomas’ Chapel within the south transept of the church. Work continues on other areas of the Church and its surrounds. 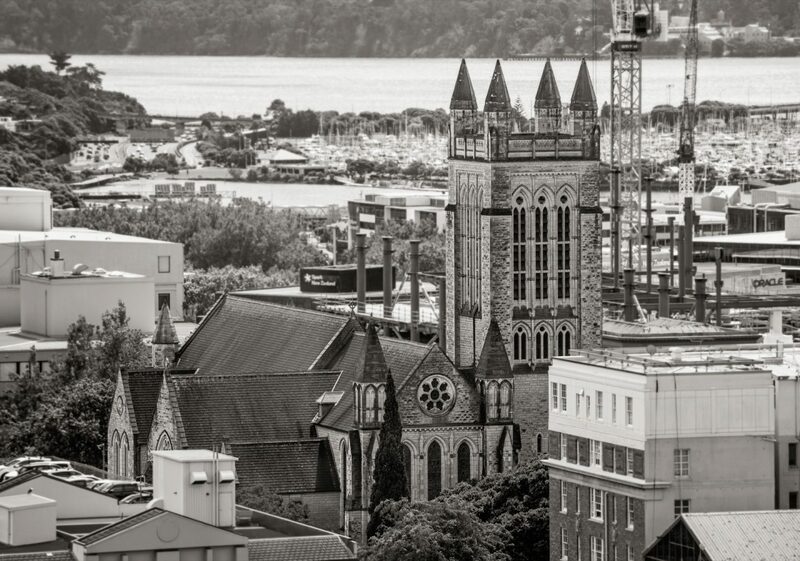 This project involved reconstruction of the historic St Thomas’ Chapel in conjunction with the installation of a new kitchen and accessible toilet, all within the south transept of heritage-listed St Matthew in-the-City Church. St Thomas’ Chapel itself originated on board the early twentieth century Melanesian Mission ship, Southern Cross V, which had operated throughout the Pacific region. 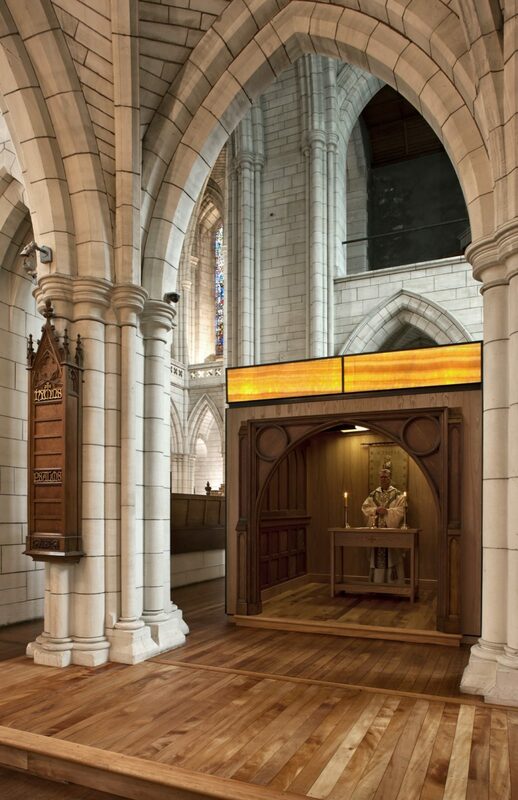 Material from the decommissioned ship had subsequently been used to form a ’lady chapel’ in St Thomas Church, Auckland, before that building was demolished to make way for the new motorway. Temporary interim home for the historic remnants had been the crypt of St Matthews. This jewel-like box, with its highlights of lit onyx, honours and respects the existing architecture of St Matthew-in-the-City while asserting its own merits. It is delicately and thoughtfully sited in the historic church. 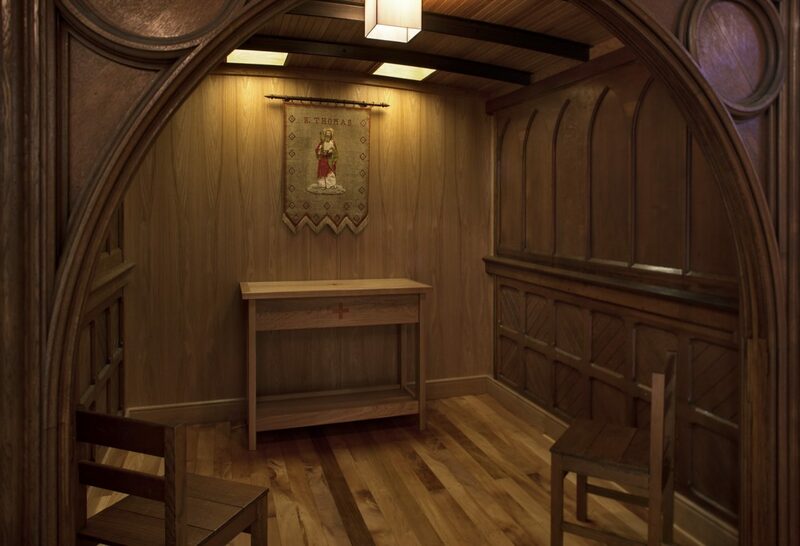 The design solution involved creating two simple “containers”, one to provide supportive enclosure for the heritage elements of the chapel and the other, the functional requirements of a modern catering kitchen. The “containers” had to be detailed for viewing from every angle, including overhead. 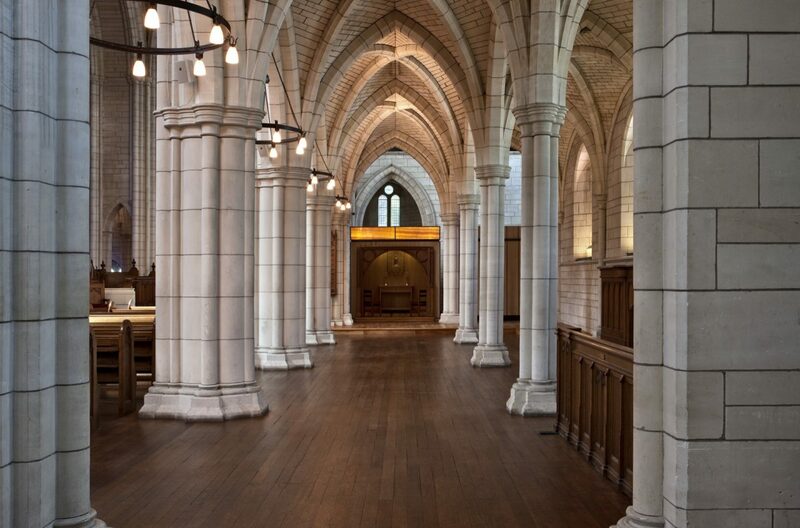 Simplicity was the keynote and for the Chapel itself, the outer shell of simple oak ply with its “halo” of illuminated onyx provides a contrast against the heritage fabric within making clear the distinction between old and new. 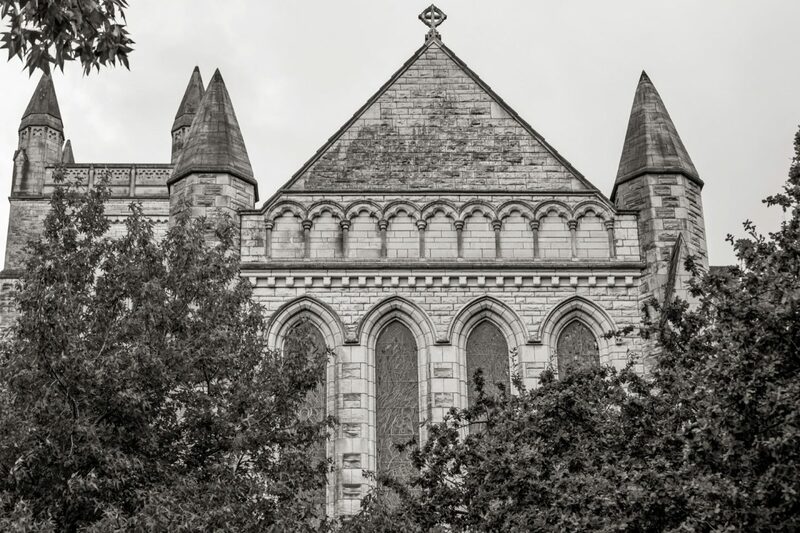 In accordance with sound conservation practice principles the construction was achieved independently of the surrounding structure to allow easy removal if required at a later date, without damage to the historic elements of the Church.